Are you a REAL bacon lover? This BBQ eBook is for you! Learn how to make bacon and what to do with it! Do you believe that every meal is better with bacon? Artisan bacon will change your life. 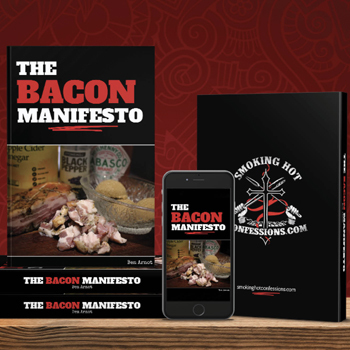 With this BBQ ebook, you’ll learn how to make your own bacon and then what to do with it with our most popular bacon recipes. For the REAL bacon lovers! Want more? After you’ve read this amazing BBQ eBook, head on over to the Recipes section and find some more delicious recipes!